These fires burnt a vast area of the catchment for the Gippsland Lakes, a chain of large inland lakes in eastern Victoria. 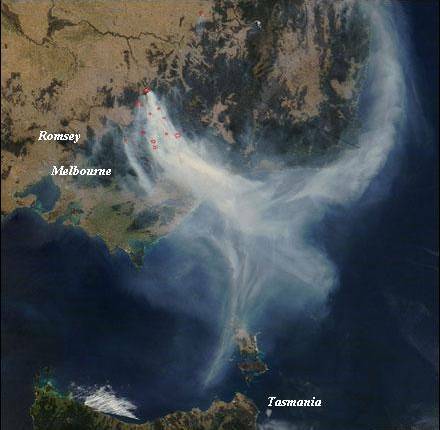 The fires affected the upper reaches of all the major rivers feeding into the Gippsland Lakes including the Latrobe, Thomson, Avon, Mitchell, Nicholson and Tambo Rivers. Such a large and in places severe fire through the catchment areas was always going to have an impact on the lakes themselves but a lot would depend on the intensity of rain events that followed the fires. In the end, it was not any ordinary rainfall event that arrived that winter. 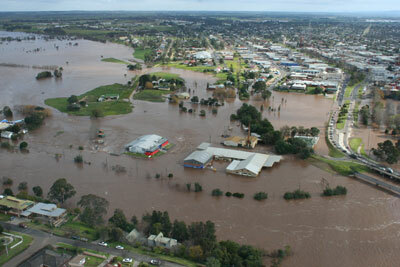 A deep east coast low pressure system dumped more than 100mm of rain over many locations across Gippsland on 27th June 2007. 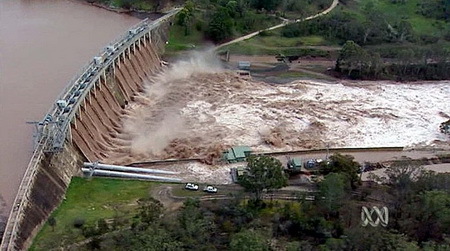 The result was a 1 in a 100 year flood in the days and weeks that followed. But this was not the blue-green algae that had appeared in the lakes before. Early analysis identified the cause of the green tinge as an algal outbreak of Synechococcus. While naturally present at low concentrations in seawater, this Dinoflagellate species had not been identified in the lakes before, so there was uncertainty about how it would develop and how long it would last. Although the health concerns were mild, public warnings were put out for the Gippsland Lakes in January 2008 which recommended against swimming in the lakes. This caused considerable disruption to many, including Camp Cooinda, the organisation I volunteer with that runs canoeing camps for young people on the Gippsland Lakes. Tourism across the Gippsland Lakes was affected throughout the rest of the summer (although most people there ignored the warnings anyway). While the Synechococcus levels moderated in the cooler months of 2008, there was concern that it would return in force the following summer once the water warmed up again. Local authorities were conducting extensive sampling and testing but the experts were not able to make confident forecasts of what would happen. The growth of algae in the lakes is affected by a number of factors, including the availability of nitrogen, phosphorous and other nutrients in the water as well as the temperature and salinity of the water. Growth of Synechococcus was favoured by higher nitrogen and salinity levels while the classic blue-green algae (which are actually bacteria) required lower salinity levels and higher phosphorous levels. 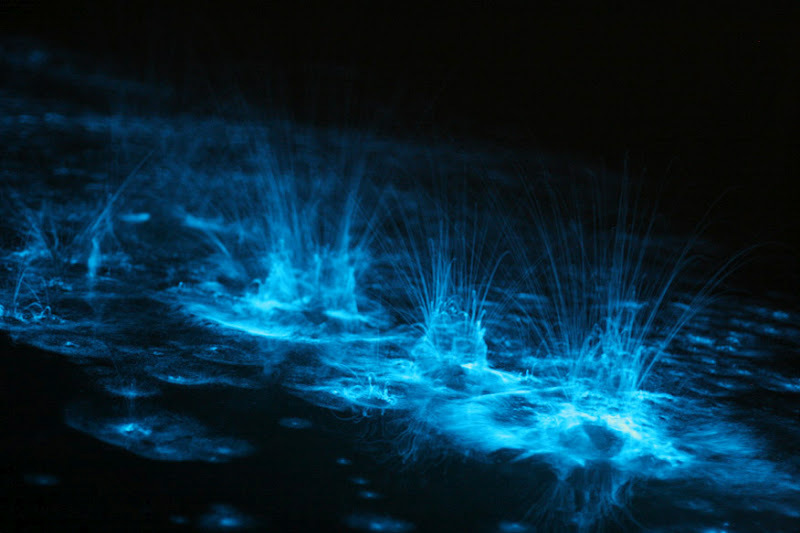 As summer took hold at the end of 2008, what happened surprised everyone – a new species called Noctiluca Scintillans began to prosper, by feeding on the Synechococcus. 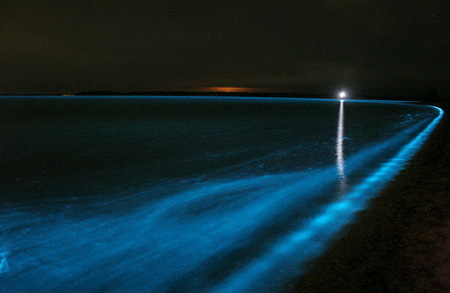 In contrast to the widespread bright green of the Synechococcus, Noctiluca Scintillans was visible during the day as localised murky red patches, often building up on sections of shoreline facing the wind during the day. 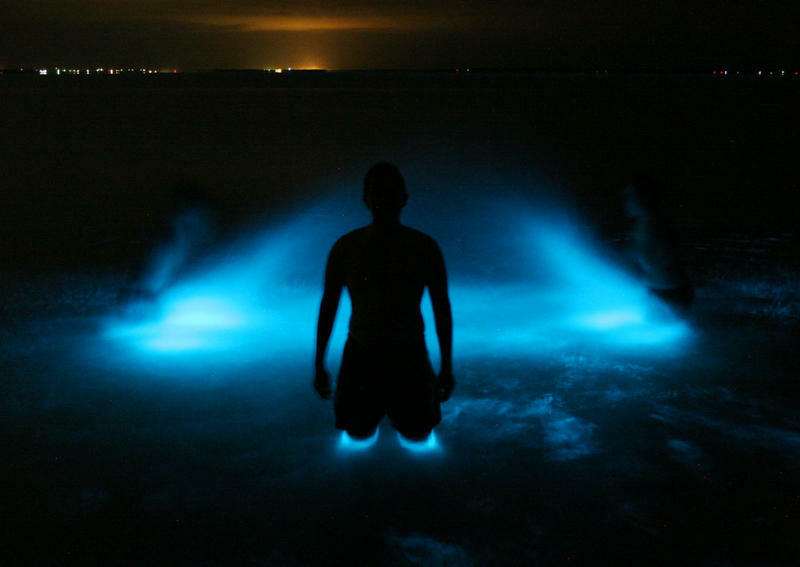 At night though, Noctiluca Scintillans produced a remarkable form of bioluminescence (popularly referred to as ‘phosphorescence’) – the water glowing brightly wherever there was movement – in the waves breaking on the shore, in ripples in the water and wherever people played in the water. 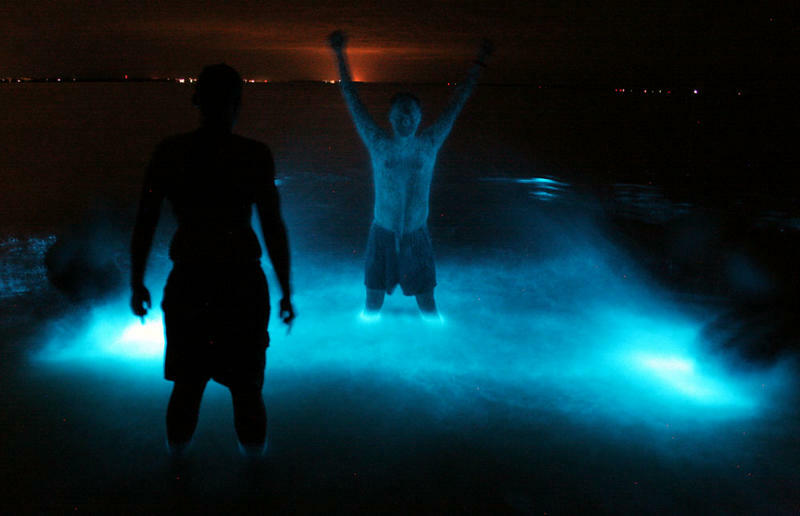 Bioluminescence is used as a lure to attract prey by several deep sea fish such as the anglerfish. A dangling appendage that extends from the head of the fish attracts small animals to within striking distance of the fish. Some fish, however, use a non-bioluminescent lure. The cookiecutter shark uses bioluminescence for camouflage, but a small patch on its underbelly remains dark and appears as a small fish to large predatory fish like tuna and mackerel swimming beneath it. When these fish try to consume the "small fish", they are bitten by the shark, which gouges out small circular "cookie cutter" shaped chunks of flesh from its hosts. Dinoflagellates have an interesting twist on this mechanism. When a predator of plankton is sensed through motion in the water, the dinoflagellate luminesces. This in turn attracts even larger predators which will consume the would-be predator of the dinoflagellate. 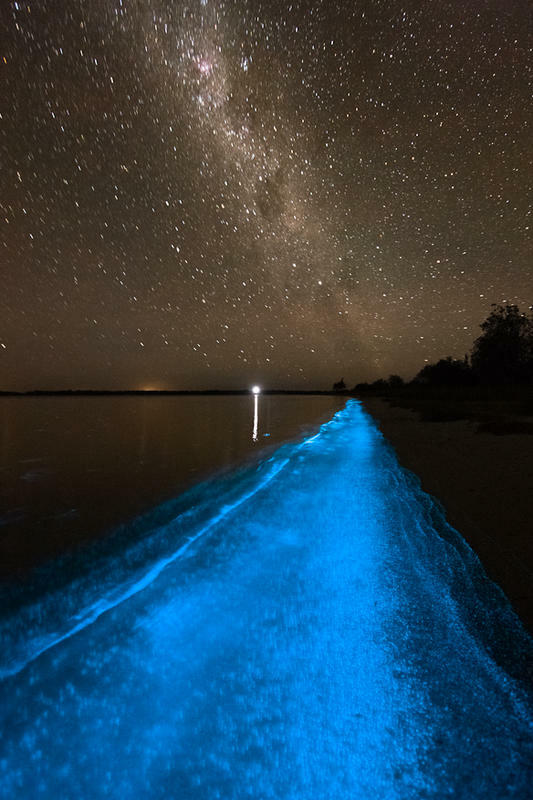 Now I have been spending most of my summers for the last sixteen years paddling around the Gippsland Lakes with Camp Cooinda and I have seen luminescence in the lakes several times before, but never remotely as bright as it was in the summer of 2008/09. Luckily, Noctiluca Scintillans was not a health threat, and I wasn’t program directing the camps at Cooinda that summer, so I had plenty of time late in the evenings to take photos of the remarkable luminescence. On the first night, it was actually a group of leaders playing in the water that created some of the most memorable photos – Laura, Kieran, Marty and Joel amongst others. I was using a Canon 20D Digital SLR with the Canon 10-22mm lens and wide open at f3.5 and ISO1600. 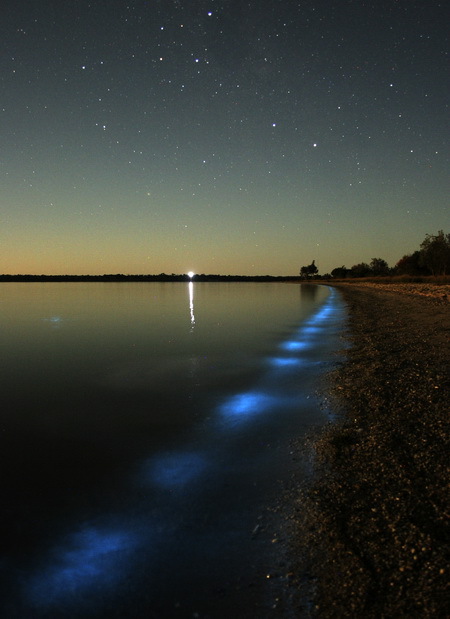 0 responses to "Bioluminescence in the Gippsland Lakes"